Zamboanga del Norte Electric Cooperative, Inc. | Ang Bugtong Katambayayong sa Lamdag nga Kaugma-on! The Energy Regulatory Commission (ERC) has set for jurisdictional hearing, expository presentation, pre-trial conference and evidentiary hearing on the sale of sub-transmission lines/assets of the National Transmission Corporation (TransCo) to Zamboanga del Norte Electric Corporative (ZANECO). The hearing will be held at ZANECO Main Office, General Luna St., Central Barangay, Dipolog City, on August 6, 2014 (Wednesday) at one o’clock in the afternoon (1:00 PM). NGCP’s 69 kV sub-transmission line and ZANECO’s distribution line. are notified that ERC has set for jurisdictional hearing, pre-trial conference, expository presentation and evidentiary hearing on July 8, 2014, at 1:30 pm at ZANECO Main Office, General Luna Street, Dipolog City. The first years we devoted to putting our house in order by focusing on three areas: first was restoring discipline and enhancing competence among our employees; second was improving our distribution system; and third was rationalizing our fiscal management and accountability. · And then the power crisis. Nevertheless, ZANECO was able to make an astounding turn-around to become what it is today. We were able to hurdle our problems not by charisma, but by seeking consensus and taking actions. Not by building walls, but by bringing our co-workers together. Not by talking too much, but by quiet competence and patience. From the “C rating” in its performance nine years ago, ZANECO slowly but consistently improved to “B rating” and eventually to “A rating” in National Electrification Administration’s performance assessment in 2012. On the 23 million pesos backlog of tax liabilities, it was not certain how the past managements such a huge excess. Anyhow, the present ZANECO administration was able to settle this backlog at the Bureau of Internal Revenue, and paid only about 1.8 million pesos. Now, ZANECO’s obligations in taxes are paid on time. And as the result of our sound fiscal management, ZANECO was able to reduce its deficit from 88 million pesos nine years ago to just four million pesos this year. Perhaps the biggest achievement so far of the present administration was the condonation last year of the interest of ZANECO’s paid account of FCC-ICC, which by the end of 2012 had already reached more than half a billion pesos. The 30 million pesos loan from Landbank of the Philippines to pay for the principal account of FCC-ICC was fully paid in May last year. And all these were made without passing a single centavo to the member-consumers. While struggling with our financial problems, ZANECO continued to focus on its main job of modernizing its equipment and improving the operation and maintenance of its distribution system. In 2009, ZANECO implemented Area Engineering Concept for the Technical Department’s operation and maintenance works. Unlike the old unsystematic way, the new concept divides linemen and foremen into areas of responsibility thereby eliminating finger pointing in responding to troubles and made maintenance works efficient. A couple of years ago, ZANECO was able upgrade its Ubay Substation in the Municipality of Polanco from 10 mva to 20 mva. The 10 mva transformer from Ubay is now being rehabilitated and will be installed at the new Irasan Substation in the Municipality of Roxas, which has been using five-mva transformer. The five-mva transformer from Roxas will likewise be rehabilitated and installed to the new substation in Sindangan, which will also serve nearby Siayan Municipality. We all know that all of our improvements and development cannot be achieved without strengthening our logistical support. From the aging and barely enough support vehicles and equipment almost a decade ago, the present ZANECO management has now acquired new or refurbished utility vehicles, a boom truck, service vehicles, off-road jeeps, and lately the four 90-foot all-terrain cranes and a wrecker. The engineering and maintenance crew are also provided with safety gear and equipment. From the old motorpool, the new and fully equipped motorpool was inaugurated on August 22 last year. It is no longer just a place where our vehicles and equipment are maintained, now it also served as the support hub for our fellow workers in the construction, operations and maintenance. On the other hand, we have been telling our member-consumers to have a sense of ownership towards ZANECO. But rampant pilferage proved that we can always encounter unscrupulous people everywhere. Four years ago, personnel of a Korean electric company introduced their electric meter to ZANECO, which they bragged was never pilfered in Korea. But after a test at our humble laboratory, the Koreans shook their heads in disbelief after learning that their meter was after all vulnerable to pilferage. The Korean electric company, aided by two of our engineers, then created and produced pilferage proof meters. We are now using these. We even have started to establish Automated Meter Reading system or AMR, on which our Consumer Account Division can remotely control these new meters. And aside from AMR system, our wide area network linking all area offices and substations is already operational. With this, member-consumers can pay their bills in any of our area offices. It also enables inter-office monitoring of sales and inventory of supplies. Meanwhile, ZANECO’s Anti-Pilferage Task Force are diligently doing their job with the help of responsible member-consumers who have been secretly giving us information about pilferage. This has greatly helped in reducing and maintaining our System Loss below the ceiling. On collection of electric bills, ZANECO’s collection efficiency was at 97 as of December 2013. We achieved this by introducing innovative and efficient collection system. In September 2008, ZANECO introduced “read and bill”. In this new method, meter readers will use high-tech gadgets by which a member-consumer’s bill is immediately printed and served. In due course, the reading, encoding, serving of bills and collection is reduced to just reading and immediate serving of bill. Payments are received by tellers at the main and area offices and through the mobile tellers serving remote areas. The “mobile teller system” was adopted in 2010. Designated tellers and support staff will go to pre-identified areas in pre-determined day of the month to collect payment of electric bills. On July 12, 2011, another holistic approach to improve collection was implemented through “FITSTORM,” which stands for Financial, Institutional and Technical – System Loss reduction, Technical upgrading, Operation on collection, Recovery of lost revenue and Miscellaneous order execution. In this system, groups with combined personnel from Technical, Finance and Institutional Services Departments will go out to designated areas every second Tuesday and Thursday of the month to collect payments, including recovery of lost revenues, and to disconnect overdue accounts. To accommodate paying member-consumers, ZANECO’s teller area was renovated into a bigger, comfortable, clean and fully automated payment receiving place with 10 teller booths. At the right side are two teller booths dedicated to serve senior citizens and the handicapped. Comfort rooms at the opposite side of the teller area building now serve member-consumers and visitors. Other offices, like that of the Institutional Services Division, were also rehabilitated and improved to make it presentable and conducive for work. In Piñan Area Office, an old building was renovated and is now the state-of-the-art multi-purpose hall. It is also the home of ZANECO Power Band, which is a big help in bringing the cooperative closer to its member-consumers. But no amount of growth of ZANECO will mean anything to our highly critical member-consumers if we continue to have rotational brownouts and worst, manual load dropping. 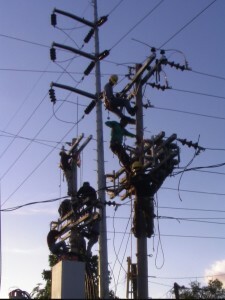 Towards the end of 2011, ZANECO was hit by power curtailment brought by the Mindanao power crisis. By January 2012, ZANECO was spared by curtailment after it got additional four megawatts from Therma Marine Incorporated and four months later, raising its contract to nine megawatts. As the Mindanao power crisis is likely to drag until the end of 2015, ZANECO is now signing contracts with companies that are building new coal-fired power plants in Mindanao, particularly Therma South Incorporated and GN Power. It also signed contracts with New York-based Astronergy, which will build solar power system in Zamboanga del Norte; with EuroHydro company under the Indonesian-based Indophil, which will build our mini-hydro electric power plant in Bergado, Mutia; and with a company that will establish power plant in Dipolog City using bio-mass fuel. We like to believe that the past years have brought out the best in us. We were not discouraged by our inherited problems and we refused to be intimidated by the power crisis. Instead, we drew strength from our determination not only to survive, but also to make ZANECO better than what it was before. If we as an electric cooperative have to endure, we must continue with our self-discipline and embrace our calling – to provide efficient and affordable electricity under the umbrella of transparency, fairness and justice. (August 23) – NEA creates ZANECO. The Zamboanga del Norte Electric Cooperative (ZANECO) is organized and registered with the National Electrification Administration (NEA), which granted its original franchise area covering Dapitan City and the municipalities of Rizal, Sibutad, La Libertad, Piñan, Mutia and Polanco. Its main office is established in Piñan as Dipolog, the capital city of Zamboanga del Norte, is still being served by Visayan Electric Company (VECO). ZANECO’s creation is based on Presidential Decree 269 signed by the President Ferdinand E. Marcos. With its beginnings, the Provincial Electric Cooperative Team (PECT), District Electrification Committee and the Board of Directors are organized to implement electrification objectives in Zamboanga del Norte. PECT includes Governor Virginio B. Lacaya as the chair and members Conrado R. Romero, provincial engineer; Francisco D. Gonzales, City Superintendent of Schools; Vicente G. Gargaritano, Development Bank of the Philippines-Dipolog Branch manager; Bienvenido A. Cielo, Provincial Development Officer; and Transfiguracion T. Daarol, the first ZANECO general manager. The pioneer Board of Directors are also elected with Teotimo S. Saavedra, president; Tirth M. Dharmdas Jr., vice president; Alfredo A. Tenorio, secretary; Germeniano B. Zapanta, treasurer; and members Inocencio A. Perlada, Benito Q. Tolentino and Purita O. Sumbilon. (January) – ZANECO grows to four employees – the general manager, secretary, bookkeeper and driver. (May 7-25) – Barrio Electrician Course conducted. 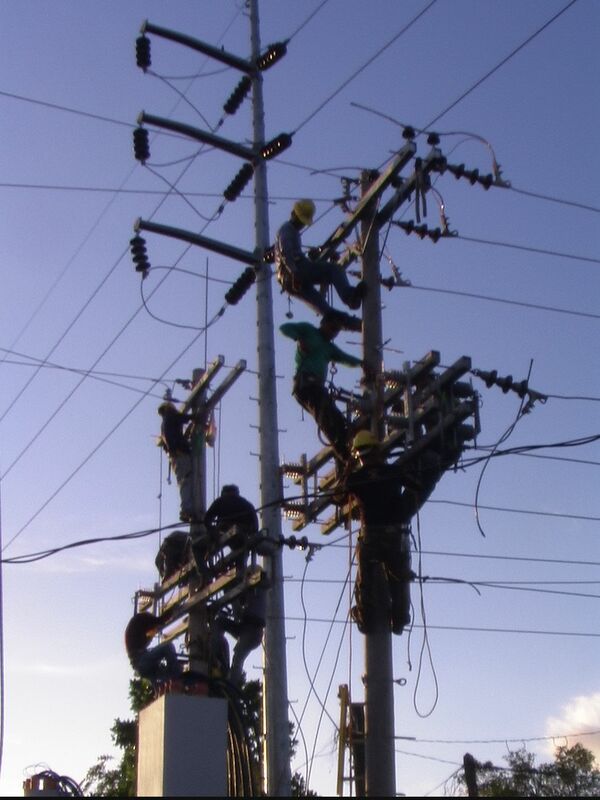 (November 7 – December 7) Twenty five qualified applicants were attends Linemen Training in Carmen, Cagayan de Oro City. Adrian Wilson International Associates, Inc. (AWIA) Constructs also instrumental to the construction of the ZANECO headquarters and facilities in Piñan. At this time, securing the Right of Way Authorization and Easements for its electrification efforts are part of ZANECO’s day to day activities. RPN-DxKD gives ZANECO 15-minute radio program aired 7:30 am to 7:45 am every Tuesday and Friday. The Board of Directors gives Certificate of Appreciation to DXKD. (September 27) – Regular Board of Directors’ meeting: it is learned that ZANECO’s headquarters and facilities in Piñan includes site development (water system and road network), an office building, manager’s residence, a warehouse building and a multi-purpose building. The sub-station is not yet included in this construction. (February 14) – Development of ZANECO headquarters at the five-hectare site in Piñan. Mr. and Mrs. Sinforiano Sumalpong donate 411 square meters of lot adjacent to ZANECO site. (March 29) – Board of Directors passes Resolution 23 requesting the Sangguniang Panlalawigan to donate 900 square meters of land in Obay, Polanco, for the construction of a sub-station. (April 30) – Sangguniang Panlalawigan approves unanimously to donate 900 square meters lot in Obay, Polanco, where ZANECO sub-station is to be constructed. The Municipal Government of Piñan, through Mayor Pacifico Cimafranca, donates three hectares of land that expands ZANECO headquarters’ site. Mr. and Mrs. Isaias Udal of the Municipality of Rizal donate two hectares of their land in Piñan to further expand ZANECO headquarters site. (June 3) – Adrian Wilson International Associates (AWIA) completes survey for the transmission lines to ZANECO. (June 8) – Engineer Dollfuss M. Duhaylungsod surveyed sub-station in Obay, Polanco. In the turn of events, Duhaylungsod became ZANECO director and at a point served as the President of the Board. (November 10) – National Electrification Administration and National Power Corporation (NPC) top officials meet with electric cooperative general managers and high officials of the provinces of Lanao del Norte, Lanao del Sur, Zamboanga del Sur, Misamis Occidental and Zamboanga del Norte. NPC admits encountering problems, but promises to energize Misamis Occidental by October 1977 and Zamboanga del Norte by December 1977. (January 23) – Final inspection, acceptance and turn-over of ZANECO headquarters, facilities and support utilities. (March 10) – National Electrification Administration (NEA) issues Memorandum No. 15 making the General Manager an Ex-Officio member of the Board of Directors, giving the General Manager the personality to deliberate in regular board meetings, but without voting power. NEA allocates a 5-MVA Substation transformer to ZANECO. (April) – ZANECO is threatened by consumers trying to have a direct connection with the National Power Corporation (NPC). (January 25) – National Electrification Administration sends team for the inventory of Visayan Electric Company (VECO) in Dipolog and electric systems in Dapitan and the municipalities of Rizal, Katipunan and Manukan. Marino Construction of Dumaguete City is given the award to construct ZANECO distribution lines and installation of a sub-station. Marino Construction got the lowest bid of P795,518. (June 9) – ZANECO Board of Directors agreed to buy Visayan Electric Company (VECO) system at reduced price, with the exception of generating sets, mechanical spare parts and vehicles. (September 11) – ZANECO holds energization switch-on ceremony. (April) – ZANECO takes over Visayan Electric Cooperative (VECO) serving Dipolog City. VECO machines will be utilized until ZANECO can provide power from National Power Corporation to Dipolog. ZANECO establishes District Office – I at General Luna Street, Dipolog City, which is formerly VECO office. (August 23) – ZANECO celebrates 7th anniversary. (September 10) – ZANECO commissions 5-MVA sub-station serving Dipolog City and transmission lines are tested. Blessing and energization of sub-station and DX line for Dipolog are held by 3 pm. (January) – Construction of ZANECO’s distribution system is expanded to Sergio Osmeña, Sindangan, Siayan, Salug, Liloy and Labason. (December) – No billing due to irregularity of power supply. (February 17) – ZANECO accepts two hectares of land donated by the Municipality of Liloy for the construction of the cooperative’s District Office II. The Board of Directors asks the General Manager to start immediately the construction of District Office II, while another district office is being planned to be put up in Sindangan. (May 22) – ZANECO accepts 900 square meters of land in Salug donated by Abdulsaid Jimlano. (July 14) – ZANECO Board of Directors objects to National Power Corporation’s imposition of P0.06 to 0.07 additional charge for the operation of Aplaya Diesel Plant while Agus II, a hydro electric power plant, is being repaired. (August 3) – Giving in to pressures, ZANECO Board of Directors, decides to pass on to member-consumers P0.07 additional charge for the use of Aplaya Diesel Plant. Construction of substation in Obay, Polanco starts. (April 27) – Member-consumers persistently complain against the additional P0.07 additional charge imposed by National Power Corporation, giving problems to ZANECO that is directly taking the cudgel. (April 30) – Distribution lines in Liloy and Salug are completed. (August 10) – ZANECO Board of Directors authorizes the general manager to apply for franchise in the newly created municipalities of Bacungan and Godod. (October 24) – Salug Sub-station is inaugurated. The National Power Corporation’s 69 KV transmission lines are also energized. (February 12, 13 & 19) – District elections. (March 20) – ZANECO holds 3rd annual assembly at the Rizal Memorial National Vocation School (now Jose Rizal Memorial State University), Dapitan City. (March 28) – National Electrification Administration’s Committee on Review of Coop-by-Laws approves ZANECO by-Laws as amended and ratified by the general membership. (April 11) Power Curtailment - National Power Corporation (NPC) informs ZANECO about the critical power situation in Mindanao because of low water level in its hydro electric power plants. NPC imposes scheduled rotational brownouts and asked member-consumers for voluntary reduction of energy consumption. (April 22) – The National Power Corporation allocates 49 percent of the load requirement of ZANECO and other cooperatives. Electricity to ZANECO will be disconnected if it exceeds 65 percent load. (April 30) – Salug to Sindangan distribution lines completed and energized. (April 12) – With the reduced power allocation for ZANECO, industrial loads go on minimal operations. It was also learned that industries in Iligan City were shut down because of power crisis. Meanwhile, ZANECO lays off contractual workers, regular employees to go on leave and construction of lateral lines are stopped. (June 14) – Energy allocation to ZANECO is raised to 80 percent. (August) – ZANECO Board of Directors passes resolution to impose daily blackouts in the entire franchise area of the cooperative from 5 pm to 7 pm starting October 1 in protest to National Power Corporation’s increased rates and refusal to restore 100 percent energy allocation to ZANECO. (April 1) – ZANECO holds 4th annual assembly in Liloy, Zamboanga del Norte. Assemblyman Guardson Lood is guest speaker while Governor Alberto Ubay is inducting officer for the newly elected officers of the Board of Directors. Vice-President - Prudencio C. Tiu, Sr.
(July 21) – Construction of Dipolog Mutli-Purpose Building completed. (December 15) Another power curtailment – National Power Corporation (NPC) informs ZANECO it is imposing daily power curtailment or rotational brownouts from 6 pm to 8 pm due to power deficiency of 30 megawatts in entire Mindanao grid. NPC says it is due to the disruption of secondary coil in one of the take-off power transformers of Agus II hydro-electric power plant. (March 16, 30 & 23) – Elections in Districts VII, VIII and IX are held. 5th Annual General Membership Meeting on April 21, 1985. District VII - Mr. Prudencio Tiu Sr.
(April) – Power curtailment, again: National Power Corporation (NPC) directs ZANECO to continue power curtailment, this time saying due to power deficiency brought about by low water level of Lake Lanao. Agus River, which is from Lake Lanao to Iligan bay, is being utilized by the series of hydro-electric power plants. Adding insult to injuries, NPC imposes penalty should ZANECO or other electric cooperatives in Mindanao exceeds its allocated power. And this penalty is being passed on to member-consumers, which are given power allocations. If they exceed, member-consumers will be charged with an addition P1.90 per kilowatthour. (May) – Francisco T. Pampilo files before the court Mandamus with Preliminary Injunction and Restraining Order against ZANECO as represented by General Manager Transfiguracion T. Daarol to prevent the cooperative from collecting the P1.90 penalty charge imposed by National Power Corporation to those exceeding their allocated power. ZANECO Board of Directors passes Resolution 047 requesting National Power Corporation to hold in abeyance the imposition of “load excess penalty” pending resolution of case filed by Francisco T. Pampilo. (July 13) – ZANECO celebrates 13th year anniversary. Sub-office is Sindangan in inaugurated. (August 3) – ZANECO Board of Directors passes Resolution 059 to join in the class suit to be filed against National Power Corporation (NPC) for imposition of “load excess penalty” and other exorbitant charges. In response, NPC informs ZANECO that based on their “study and evaluation” of Lake Lanao, energy allocation will be further reduced to 90 percent. Relative to the controversial imposition of “excess load penalty,” the Diocese of Dipolog represented by Monsignor Salvador F. Mora and Atty. Reubin Maraon filed before the court a petition to issue Temporary Restraining Order on ZANECO to prevent it from disconnecting any member-consumer within 20 days. Some member-consumers started to consign payment of their electric bills to the Clerk of Court, Regional Trial Court. 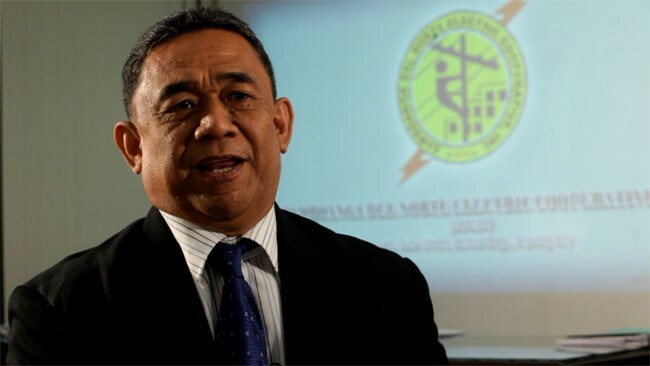 (November 6) – National Power Corporation informs ZANECO that effective October 26 the energy allocation in all of Mindanao’s electric cooperatives was restored to 100 percent of their contracted energy. (November 7) – Court restrains ZANECO from disconnecting electric services to the Diocese of Dipolog, Maraon and other member-consumers. While ZANECO’s collection efficiency dips to 60.66 percent with collectibles reaching close to P3 million, the Board of Directors passes Resolution 087 authorizing the president of the board and the general manager to institute administrative action against member-consumers who consigned electric bills to the court. (December) – FECOPHIL General Manager Francis Nacianceno Jr. informs ZANECO that President Ferdinand E. Marcos has restored tax exemptions to all electric cooperatives under Presidential Decree 269. (May 10) – Power bills payment consigned by 150 member-consumers to the court reaches P159,031. (May 17) – ZANECO holds 6th annual general membership meeting in Sindangan, Zamboanga del Norte. Secretary - Romanito U. Borinaga Asst. Treasurer - Prudencio C. Tiu, Sr.
Members - Fiscal Gil L. Batula Atty. (April 25) – ZANECO holds 7th annual general membership meeting in Rizal, Zamboanga del Norte. District III - Benjamin J. Cardino Jr.
(May) - ZANECO went down to Category B for the Year 1986, as against category A in 1985. DOLE asks both sides for a 15-day cooling-off period. (December 12) – Romulo Villegas of TUPAS agrees to withdraw notice of strike filed against ZANECO. (December 3) – DOLE calls for conciliation meeting, but Romulo Villegas of TUPAS fails to show up. (May 15) – ZANECO holds 8th annual general membership meeting at the ABC Hall in Mutia, Zamboanga del Norte. Congressman Artemio Adaza and Governor Isagani S. Amatong are guests and speakers. (June 3 – 12) – ZANECO’s 5 MVA transformer malfunctions causing blackout for 13 days in the cities of Dapitan and Dipolog and in 11 municipalities involving 17,500 member-consumers. The damaged transformer is replaced with 10 MVA transformer. General Manager Transfiguracion T. Daarol insists that the workers’ union has no case because there were no employees dismissed and there is no law prohibiting him from transferring employees within ZANECO’s coverage area. (July 7) – STRIKE! Some employees who are members of ZANECO United Free Workers Union push through with their strike. ZANECO management exerts all efforts to convince striking employees to go back to work, and bring their case to court. (August 3) – Striking ZANECO employees went on. Meanwhile, ZANECO management waits for the court’s decision on its petition to declare the strike illegal. Center. ZANECO is restored to Category A. (August 26) – Unidentified gunman shot to death Feliculo Bayer, president of ZANECO United Free Workers Union – Trade Union in the Philippines and Allied Services (TUPAS), at the striking employees’ picket line at ZANECO headquarters in Piñan, Zamboanga del Norte. Board of Directors appoints Ronilo Lee officer-in-charge of ZANECO upon the leave of absence of General Manager Transfiguracion T. Daarol. At the same time, Board of Directors passes Resolution 084 requesting National Electrirfication Administration to recall its appointment of Moreno Vista as ZANECO acting general manager. (August 8) – Atty. Manuel Patriarca Jr., counsel for ZANEMU that is the rival employees’ group of ZANECO United Free Workers Union – Trade Union in the Philippines and Allied Services (TUPAS), informs ZANECO management that ZANEMU is the sole and exclusive bargaining representative of the cooperative employees in discussions to come up with collective bargaining agreement. Patriarca Jr. says that ZANEMU’s legal personality is based on the certification election on July 26 wherein they won by 98 percent of votes cast. (November 25) – Board of Directors passes resolution 092 approving management proposal to transfer vital departments from ZANECO headquarters in Piñan to ZANECO District Office I in Dipolog City. National Electrification Administration (NEA) Director Luis Cerrafon agrees that his office will not appoint acting general manager during the absence of General Manager Transfiguracion T. Daarol. President Prudencio C. Tiu, Sr.
VicePresident Benjamin J. Cardino Secretary Bonifacio A. Sia Asst. (August 28) – Striking ZANECO employees are dismissed, based on decision of NLRC Regional Arbitration Branch I in Zamboanga City that the strike was illegal. (January) – ZANECO asks the Department of Labor and Employment (DOLE) to cancel registration of ZANEMU and ZANECO United Free Workers-TUPAS basing on Supreme Court decision that says employees are members of the same cooperative, and they cannot form a union for purposes of getting collective bargaining agreement with the management. (May 2) – National Power Corporation requests ZANECO to conserve energy to minimize impact of fast receding water elevation of Lake Lanao. ZANECO imposes power interruptions every Wednesday. (May 17) – Fire hit Member Services Department at ZANECO District Office – I in Dipolog City. (January 5) – A member of the Philippine Constabulary fires his gun at ZANECO transmission line in Salug, Zamboanga del Norte, causing brownout in the area. The constable apologizes nd offers to pay damages and expenses incurred in restoring power. Nevertheless, ZANECO files charges against him in court. Meanwhile, the Local Government of Dipolog expresses intention to put up a separate electric that shall serve Dipolog. However, it should first seek a waiver from the cooperative that holds the franchise for 50 years. (March 26) – Board of Directors passes Resolution 035, Series of 1991, to join the Sangguniang Panlungsod of Dipolog City in denouncing and condemning the management of National Power Corporation (NPC) for its inability to take contingency measures to minimize if not forestall the power crisis in Mindanao. Power interruption is rescheduled from 12 noon to 8 PM daily from its earlier schedule of 6 AM to 6 PM three times a week. The power crisis also gravely affects ZANECO’s finances, which forces the cooperative to let its employees go on leave two days a week without pay. (April 23) – Regional Trial Court issues restraining order to National Power Corportion and ZANECO, enjoining both to cease from interrupting power in view of the injunction case filed by the Provincial Government of Zamboanga del Norte. (May 1) – On directive from National Power Corporation, ZANECO adds P0.29 Fuel Compensating Charge (FCC) and P0.29 Interim Adjustment to the basic charge of P1.90 per kilowatthour. (May 5) – ZANECO holds 11th annual general membership meeting in Polanco, Zamboanga del Norte. (May 16) – Judge Antonio R. Gonzales of the Regional Trial Court Branch IX issues Writ of Preliminary Injunction to National Power Corporation and ZANECO to desist from cutting power supply to Zamboanga del Norte until decision of the case. Asst.Secretary Oliveros B. Dalman Treasurer Becker P. Young. (June) – Due to recurring power supply deficiency from the National Power Corporation (NPC), ZANECO is compelled to cut power supply to member-consumers from 6 AM to 6 PM on Mondays, Thursdays and other days when necessary. Later, ZANECO increases power interruptions from two days a week to three days a week to cope up with the declining power supply from NPC. Meanwhile, ZANECO increases Fuel Compensation Charge (FCC) once more to P1.39 from P0.29. The Interim Adjustment also increased to P0.06 instead from P 0.029. (July 6) – National Power Corporation (NPC) lifts power curtailment in the Mindanao but imposition of the Fuel Compensating Charge (FCC) continued. NPC reasoned that it is still using hydro-diesel generators as hydro-electric power plants are not yet fully operational. Board of Directors passes Resolution 119, series of 1991, opposing National Power Corporation’s continued imposition of Fuel Compensation Charge (FCC) and Incremental Cost Charge (ICC). (July 26) – Regional Trial Court issues writ of preliminary injunction ordering National Power Corporation and ZANECO to desist from imposing, charging, billing and collecting the Fuel Compensation Charge (FCC) and other additional charges upon its end-users in Zamboanga del Norte and the cities of Dipolog and Dapitan. The court also ordered respondent to refrain from cutting off the electric lines of those who refused to pay the questioned charges, pending determination of the litigation. Petitioner claimed that the increase was arbitrary and illegal, and that the Energy Regulatory Board (ERB) did not sanction the collections. (November 29) – The nine striking employees are terminated from service. As it is later found out that the dismissed employees are from the Motorpool, Board of Directors passes Resolution 121, series of 1991, to temporarily close ZANECO Motorpool and have vehicles repaired by private shops until new employees are hired. Because of the power crisis, ZANECO personnel go on forced leave without pay for 10 days a month. (February 18) – Engineer Lorrymir S. Adasa of National Power Corporation gives notice to ZANECO of its outstanding bill amounting to P 11,766,379.96, as of January 1992. Adasa threatened that power supply to ZANECO will be disconnected if the cooperative does not pay its bill within 10 days. (March 23) – National Power Corporation gives final demand to ZANECO to pay its overdue bill otherwise power in the entire franchise area of the cooperative will be disconnected by 12 noon on March 28. (March 27) - Judge Wilfredo Martinez of Regional Trial Court Branch 10 issues Restraining Order against National Power Corporation, ordering the company to desist and refrain from disconnecting power on March 28. (May 30) – ZANECO holds 12th annual general membership meeting in Roxas, Zamboanga del Norte. It is at this general membership meeting that only a handful of ZANECO employees were present to attend to the mounting complaints of member-consumers because many of the employees are on forced leave. ZANECO management and Board of Directors express disappointment, but are helpless because the problem is with the National Power Corporation that cannot supply enough electric power. The effect is power curtailment that reduces income of ZANECO, which is in turn forced to put some of its employees to go on leave without pay. Treasurer Anacleto H. Olvis, Jr.
(January) – Board of Directors approves indefinite leave of absence filed by General Manager Transfiguracion T. Daarol, and designates Assistant Manager Ronillo D. Lee as Acting General Manager. District VIII Leoncio P. Orilloza, Jr.
(May 7) – General Manager Transfiguracion T. Daarol informs the Board of Directors through a letter that he is applying for early retirement for personal, political and other reasons. On July 9, Administrator Teodoro P. Sanchez of National Electrification Administration approves Daarol’s application for early retirement. (May 22) – ZANECO holds 13th annual general membership meeting in La Libertad, Zamboanga del Norte, to explain the need to collect Fuel Compensation Charge (FCC) and Incremental Cost Charge (ICC). The Court of Appeals reversed the decision of Regional Trial Court in Zamboanga del Norte that stopped the collection FCC and ICC. And although the complainant against FCC and ICC – the Zamboanga del Norte Provincial Government represented by Governor Isagani S. Amatong – has elevated the case to the Supreme Court, ZANECO starts to bill member-consumers of the arrears in FCC and ICC. Letters explaining ZANECO’s legal basis on collecting FCC and ICC are sent with the electric bills. Acting General Manager Ronillo D. Lee informs Board of Directors that ZANECO has an outstanding account of P22,216,167.72 in FCC and ICC alone and P2,685,384 in interest. (June) – Board of Directors passes Resolution 025, series of 1993, to refrain from disconnecting member-consumers with arrears on Fuel Compensation Charge (FCC) and Incremental Cost Charge (ICC), but who pay the basic charge and current FCC and ICC, pending result of petition to President Fidel V. Ramos to condone FCC and ICC arrears from May 1991 to January 1993 including interest. Member Leoncio P. Orilloza, Jr.
(July 26) – Power curtailment is lifted, but imposition of Fuel Compensation Charge and Incremental Cost Charge (ICC) continues. Proclaimed winner District II Leandro Z. Sulit . (May 21) – ZANECO holds 14th annual general membership meeting in Labason, Zamboanga del Norte. ZANECO joins AMRECO against National Power Corporation for the integration of the Fuel Compensation Charge (FCC) and Incremental Compensation Charge (ICC) in its basic rates. Board of Directors passes Resolution No. 005, series 1994, appointing Ronillo D. Lee as permanent General Manager. The management also reports during the meeting that as of December 1993, ZANECO has outstanding account payable to National Power Corporation of P40.3 million with interest of at least P7 million. General Manager Ronillo D. Lee designates Engineer Albino Palma Acting Assistant Manager. (December 8) – Republic Act 7832 or “Anti-pilferage and electric transmission lines/materials pilferage act of 1994” is passed. (January 1) - Administrator Teodorico P. Sanchez of the National Electrification Administration (NEA) informs Board of Directors that NEA has approved appointment of Ronillo D. Lee as General Manager. Board of Directors passes Resolution No. 009, series 1995, confirming appointment of Engineer Albino R. Palma as Assistant General Manager effective March 1, 1995. (May 20) – ZANECO holds 15th annual general membership meeting in Dapitan City. (November 25) – ZANECO holds annual general membership meeting in Leon B. Postigo, Zamboanga del Norte. ZANECO is categorized as “A” and classified as “Large” coop. Board of Directors decided to defer proposal to register permanently with the Cooperative Development Authority until 1997. (December 24-26) – BLACK CHRISTMAS. Blackout occurs after National Power Corporation’s four transmission line structures in Layawan River Bank and Deventia Perla in Polanco were damaged by flush floods. Affected areas were municipalities of Rizal, Sibutad, Piñan, Polanco, Mutia, La Libertad, Katipunan, Roxas, Manukan, Jose Dalman and the cities of Dipolog and Dapitan. (January) – The National Electrification Administration disapproves ZANECO Board of Directors’ Resolution 053 and 074, series of 1995, granting employees mid-year bonus of 50 percent of monthly their salaries in view of ZANECO’s accumulated losses amounting to P38 million and total payable to National Power Corporation in the amount of at least P63 million. General Manager Lee assures ZANECO employees he will submit as soon as possible the justifications to the granting of bonuses. (May 18) – ZANECO holds 16th annual general membership meeting in Dapitan City. Member Gabriel A. Catane Member Felizardo C. Enriquez Member Anacleto H. Olvis, Jr.
(My 31) – ZANECO holds 17th annual general membership meeting in Jose Dalman, Zamboanga del Norte. (August 14) – The 5 MVA and 10 MVA transformers arrive. The 5 MVA transformer will be installed at Roxas Sub-station while the 10 MVA transformer is intended in Ilaya, Dapitan City, to pass along the road in Conacon and Isis, Polanco, to minimize problems with right of way acquisition. (September 24) – General Manager Ronillo D. Lee informs the Board of Directors that he will be retiring effective December 31, 1997, after 22 years of service with ZANECO. The Board of Directors accepts General Manager Ronillo D. Lee’s application for retirement through Resolution No. 061, series 1997, dated October 14 and designated Assistant General Manager Albino R. Palma as Acting General Manager. Member Anacleto H. Olvis, Jr.
Board of Directors also decides that a 10 MVA sub-station shall be constructed in Polo, Dapitan City, instead in Ilaya with the 69 KV line to pass through Villa Hermosa, Polanco. ZANECO management was authorized for the purchase of a lot for the proposed 10 MVA substation in Polo. (August 1) – Board of Directors passes Resolution 092, series 1998, authorizing the observance of 44-hour work week or eight hours daily. In view of the financial constraints, ZANECO defers holding of annual general membership meeting until early next year. The Board of Directors authorizes the management to use temporarily at its sub-station in Obay, Polanco, the 10 MVA transformer that has been lying idle. The transformer was intended for Polo sub-station. (January 16) – Engineer Albino R. Palma’s appointment as permanent General Manager of ZANECO takes effect. (March 6) – Board of Directors passes Resolution No. 024, series 1999, directing management to stop the holding of cockfight derbies during its annual anniversary celebrations and Christmas reunions. (March 24) – Board of Directors passes Resolution No. 030, series 2000, stop proliferation of series connections and giving member-consumers with series connections until May 31, 2000 to accomplish necessary requirements for application of electric service with the cooperative. (July 9) – ZANECO commissions newly installed 10 MVA transformer in Obay Sub-station. The 10 MVA transformer in Polo substation energized. (October 11) – SUPREME COURT DISMISSES AMATONG’S CASE VS ZANECO. The Supreme Court upholds Court of Appeals decision to dismiss petition filed by the Provincial Government of Zamboanga del Norte, represented by Governor Isagani S. Amatong, to stop ZANECO from collecting National Power Corporation’s imposed Fuel Compensation Charge (FCC) and Incremental Compensation Charge (ICC). The dismissal of Amatong’s case against ZANECO is just by mere technicality – the case was filed before the court when it should have been with the Energy Regulatory Commission. a. Section 27. Franchising Power in the Electric Power Sector. The granting of franchise to persons engaged in the transmission and distribution of electricity is vested exclusively by Congress. However, in the case of ECs, renewals and cancellations shall remain with the National Electrification Commission under the National Electrification Administration for five (5) more years after the enactment of the act. b. Section 57. Conversion of Electric Cooperatives. The ECs are given the option to convert into either stock cooperative or stock corporations. The act does not deprive the ECs of any privilege or right granted to them under PD 269, as amended, and other existing laws. c. Section 58. Additional mandate of the NEA. NEA shall continue to be under the supervision of the DOE and shall exercise its functions under PD No. 269.
d. Section 59. Alternative Electric Service for Isolated Villages. The provision of electric service in remote and unviable areas that the franchised utility is unable to serve for any reason shall be opened to other qualified third parties. e. Section 60. Debts of Electric Cooperatives. All outstanding obligations of ECs to NEA and other government agencies incurred for the purpose of financing rural electrification program shall be assumed by the PSALM Corporation within One (1) year from the effectivity of the act. The ECs shall reduce rates commensurate with the resulting savings due to the removal of the amortization payments of their loans. Within five (5) years from the condonation of debts, any electric cooperative which shall transfer ownership or control of its assets, franchise or operations, shall repay PSALM Corporation the total debts including accrued interests thereon. (January 14) – National Power Corporation (NPC) demands that ZANECO pay its overdue Fuel Compensation Charge (FCC) and Increment Compensation Charge (ICC) account of P196.5 million or it will disconnect electric service to the cooperative. ZANECO management requested NPC not to cut off supply of electricity. Meanwhile, the Board of Directors learns Governor Isagani S. Amatong has sent a letter to the President requesting the condonation of ZANECO’s unpaid FCC and ICC. ZANECO adjudged one of the top performers in 2001. With the assistance of technical managers from National Power Corporation, the 5 MVA sub-station in Comunal, Liloy, is energized. It serves the municipalities of Tampilisan, Kalawit, Labason, Gutalac and portion of Liloy. (February) – ZANECO starts collecting Universal Charge as directed by National Power Corporation. (May 31) – ZANECO holds annual general membership meeting in Sergio Osmeña, Zamboanga del Norte. Representatives Cecilia Jalosjos-Carreon, Roseller Barinaga and Angel Carloto agree to sponsor bill for the condonationof the interest of ZANECO’s unpaid Fuel Compensation Charge (FCC) and Increment Compensation Charge (ICC). Eventually, House Bill No. 5934 seeking condonation of the interest of ZANECO’s FCC and ICC came out. The coop requested PHILRECA to intercede in behalf of ZANECO in requesting the President of the Philippines to recommend the passage of this bill. In reference thereof, the Board of Directors passes a resolution requesting National Electrification Administration to authorize ZANECO to loan P30.5 million, which will be used to pay the principal of the cooperative’s unpaid FCC and ICC account with National Power Corporation. (January 5) – General Manager Albino R. Palma reports to Board of Directors that ZANECO’s outstanding account for unpaid Fuel Compensation Charge (FCC) and Incremental Compensation Charge (ICC) has already reached P230.7 million, with balance of the principal at P24.5 million. The balance went that high because of an average monthly interest of P2.9 million. (June 26) – ZANECO holds annual general membership meeting in Kalawit, Zamboanga del Norte. (September 30) – General Manager Albino R. Palma’s request for retirement takes effect. ZANECO publishes the vacant position of General Manager. Adelmo P. Laput one of the applicants for the position of General Manager was strongly indorsed by the League of Municipalities of the Philippines, Zamboanga del Norte Chapter and also from the Sangguniang Panlungsod of Dapitan and Dipolog. (April 29) – NEW GENERAL MANAGER. The Board of Directors, through secret balloting, choses Adelmo P. Laput as ZANECO’s next General Manager. Six Directors voted for Laput while one voted for Engineer Eduardo B. Castor and Samuel V. delos Reyes Jr. have none. (June 11) – Board of Directors passes Resolution 035, series 2005, officially installing Adelmo P. Laput as ZANECO General Manager. (February 2) – Board of Directors passes Resolution 18, series 2007, approving the division of District IX into two districts, creating District IX comprising the municipalities of Godod, Salug, Tampilisan and Liloy and District X comprising the municipalities of Kalawit, Labason and Gutalac. (August 11) – ZANECO holds annual general membership meeting in Piñan, Zamboanga del Norte. Annual General Membership Meeting at Pinan on August 11, 2007. (November and December) – New members of the Board of Directors: Proclaimed Winner District VII Aristela B. Adaza – She was earlier disqualified for having been convicted of a derogatory offense. However, Judge Chandler O. Ruiz of Regional Trial Court issued Temporary Restraining Order directing ZANECO Screening Committee to include her in the list of qualified candidates. District I Jesus Eduardo R. Tayrus, Sr.
President Gloria Macapagal-Arroyo launches Pantawid Koryente Subsidy Fund with the Department of Social Welfare and Development as the implementing arm. (September) – ZANECO implements Read and Bill system, in which meter readers use new gadgets that spit out bills upon entering the readings on meters of member-consumers. (November 3) – Board of Directors passes Resolution 164, series 2008, requesting National Electrification Administration for loan package to pay its Real Property Tax to the City Government of Dipolog, which is already at P11.1 million. (May 7) – Energy Regulatory Commission conducts hearing and consultation for ZANECO’s “Draft Rules for Setting the Electric Cooperatives Wheeling Rates” at the Plenary Function Hall of the Zamboanga del Norte Convention Center in Dipolog City. The Board passed another Resolution appealing to reconsider the proposed Amendment to By-Laws making the third Sunday of October the date of Annual Meeting. Board of Directors passes resolution for the compulsory retirement of linemen at the age of 45. ZANECO also implements Area Engineering Concept. (May 18-23) – Brigada Electric Check. ZANECO launches project to check electrical wirings in schools for free. District II Dollfuss M. Duhaylungsod . (September 5) – ZANECO holds annual general membership meeting in Liloy, Zamboanga del Norte. In its effort to increase collection efficiency and to give consumers convenience in paying their bills, ZANECO requests the services of Rural Banks of Labason, Tampilisan, Gutalac and Salug to serve as its collection centers. Later, it was a consensus to open accounts to all rural banks operating within our franchise area. ZANECO buys 20 units of light industrial mobile computer to expedite billing and collection. Training on how to use Read and Bill gadgets was conducted. ZANECO expresses intention to build and operate a Mini-hydro Power Plants within the franchise area of the electric cooperative. The Board of Directors also approves to acquire Automated Mapping and Facility Management software (AM/FM). In Automatic Mapping, ZANECO can have geographic detail of its distribution system by means of Global Positioning System &#40;GPS&#41;. Vice-President Jesus Eduardo R. Tayrus, Sr.
(August 12 and 13) – Energy Regulatory Commission (ERC) conducts consultation and hearings ERC Rules at Dakak Beach Resort in Taguilon, Dapitan City. 1. Evidentiary Hearing on the Rules for Setting Electric Cooperatives Wheeling Rates (RSEC-WR), ERC Case No. 2009-120, on August 12, 2009 at 9 am. 2. Public consultation on the Tariff Glide Path Rules, ERC Case No. 2010-005 RM, on August 12, 2009, at 2 pm. 3. Initial Hearing, Expository Presentation, Pre-trial Conference and Evidentiary Hearing on ZANECO Application for approval of Proposed Electric Capital Projects for Year 2009-2013 on August 13 at 10 am. ZANECO adopts Mobile Tellering System to be conducted by employees. (June) – Salary increase based on Extra Large Classification of ZANECO is given. It is every employee’s hope in the cooperative that there will be an increase of their salary. July 24 District VII Roger T. Tiu . July 31 District VIII Leoncio P. Orilloza, Jr. Member Leoncio P. Orilloza Jr.
(February) – ZANECO starts accepting applications from Senior Citizens who are interested to avail of the 5 percent discount in their power bills. National Grid Corporation of the Philippines grants General Manager Adelmo P. Laput’s request to spare ZANECO from power curtailment due to the holding of Palarong Pambansa in Dapitan City from May 8 to May 15. (July 12) – ZANECO implements FIT-STORM, which stands for F-inancial, I-nstitutional, and T-echnical. S-ystem Loss, T-echnical Upgrading, O-peration on Collection, R-ecovery of Lost Revenue, M-iscellaneous Order Execution. It is an operation involving every employee to get involve with the execution of various works for the maximization of all its services necessary to satisfy its stakeholders. This is a two day activity, which shall be done every 2nd Tuesday and Thursday of the month. All personnel involved shall strictly wear their prescribed uniforms and IDs, adhere to safety, discipline, courtesy and professionalism in dealing with member-consumers. (September 2) – Energy Regulatory Commission conducts public hearing on ZANECO’s Application for Approval of its Energy Supply Agreement (ESA) with Therma Marine, Inc. (TMI) at ZANECO Main Office, Dipolog City. The three-year contract of ZANECO with NPC-PSALM expired last August 25. In its renewal, PSALM declared its inadequacy to supply additional energy. As such, the coop was forced to contract the additional 5 megawatt from Therma Marine. Besides, there was no other independent power producer available. (October 23) – ZANECO holds 30th annual general membership assembly at ZANORTE Teachers’ Gymnasium in Dipolog City. About 1,367 member consumers attended the meeting. The general assembly was able to pass a resolution requesting all Local Government Units in its franchise area not to assess and collect real property tax on the electric poles of ZANECO. Newly elected and re-elected members of the Board of Directors and ZANECO’s CARE (Consumers Advocacy for Rural Electrification) Organized Communities took their oath. They will serve as the “link” between ZANECO management and its member-consumers. Guide for rotational brownout effective April 16, 2015. It will change whenever there is drastic instability in the curtailment level that NGCP imposes on ZANECO. © ZANECO, Inc. All rights reserved.